The median home value in Marietta, GA is $287,000. This is higher than the county median home value of $213,500. The national median home value is $185,800. The average price of homes sold in Marietta, GA is $287,000. Approximately 37.29% of Marietta homes are owned, compared to 49.57% rented, while 13.15% are vacant. Marietta real estate listings include condos, townhomes, and single family homes for sale. Commercial properties are also available. If you see a property you’re interested in, contact a Marietta real estate agent to arrange a tour today! MOVE-IN READY Executive Home features large open kitchen, 2 ovens, granite, stainless steel appliances, island and pantry all open to the keeping room w/vaulting ceilings and Fireplace. Including, Hardwood floors, Plantation shutters, Coffered ceiling in FR, Bookcases and Bed & Bath on main. ENORMOUS master suite w/trey ceiling, Lg bathroom w/HUGE master closet! There is also a bonus room upstairs which can be a 6th BR or playroom! FULL, unfinished basement, with full finished bath and workshop. The Large deck overlooks a great backyard and the home has been Freshly painted inside and out! Just renovated. New hardwood and carpet, new granite, fresh paint. Move in ready with new features throughout. Great traditional floorplan with kitchen open to two-story family room. Over-sized master. Basement ready to be finished for additional living space. WOW! This home features 3 spacious bedrooms with hardwood floors and new interior paint, 3 renovated baths with elegant ceramic tile and basement with a full bath and a bonus room that is perfect for a guest suite or a private office. Enjoy summer gatherings on the oversized back porch ideal for family and friends. East Cobb contemporary home, well maintained and renovations completed. Hardie Board siding, new roof, large fenced yard, granite kitchen counter tops, wood flooring on main level. Lots of natural light and high ceilings. Fourth bedroom or bonus downstairs finished with additional unfinished space to expand. Stubbed for an additional bathroom. This home has endless opportunities to expand and enjoy both inside and outside. The top award winning schools make this home even more valuable. The VIEW is captivating from your private location in this highly sought after swim/tennis neighborhood & schools. Follow the drive to your hidden street of only 4 homes. From the coffer ceiling in the great rm, featuring a stacked stone fireplace to the updated kit & baths, over sized owner's suite w/sitting rm & luxurious bath, you will have plenty of spaces to relax or entertain. Custom screened porch is found through French doors off the kit for cozy evenings. WOW...the finished terrace level boasts 10' ceilings w/a huge rec room, separate media room, music room full bath & storage area options. Walk out to spectacular brick patio & beautifully landscaped backyard. Don't forget to see the plantation shutters, butler's pantry, mudroom & huge closets too!! Beautifully renovated home in Whitlock Heights/Kings Mountain neighborhood. 4BD (incl TWO mstr suites; one w/sitting area & custom walk-in closet) 3.5 bth. Stunning white kitchen w/SS appl, granite & walk in pantry. Entertainers dream w/open concept flr plan w/view of private park-like yard. Beautiful baths w/modern tile & vanities, stone tops, designer fixtures. Both mstr bths feat marble stall showers! Refinished hardwoods. Neutral paint. New roof, double pane windows & new doors. Large wrkshp/storage rm attached. No HOA.Short walk to Tumlin Park. 7min to Mtta Square. Charming stone adorned home on cul-de-sac in best location in popular Autumn Lake swim/tennis. Home has more sq footage than most in n'hood w/fireside keeping rm open to kitch & brkfst. Light filled rooms overlook fenced, professionally landscaped patio & yard. Huge master has 2 walk-in closets & sep sitting (or office, nursery, exercise), lg spa bath. Freshly painted ext trim, LR, DR and foyer - move-in ready! Stately 6 bedroom, 5 bath home in sought after Easthampton, the premier Swim/Tennis community in Walton School District.. Features include inviting 2-story foyer and recently updated hardwood floors. Separate dining room & living room. Amazing kitchen w/breakfast area, breakfast bar, and view to spacious family room for easy entertaining. Home features two car garage, Over sized master suite w/spa-like bath offers double vanity, separate shower/whirlpool tub. 3 additional bedrooms on upper level. Finished terrace level w/ rec room, built-ins, full bath & 5th bedrm. Charming all brick ranch nestled on an almost 1 acre wooded lot! This property has a private rural feel yet its less than 5 miles to I-75. Hardwoods throughout the main living area with a sunroom located off of the kitchen overlooking the wooded back yard. Detached 1 car garage in addition to a 2 car carport. Gorgeous master bathroom renovation in 2017 along with a kitchen renovation completed in 2009. Spray foam insulation in the attic and master bathroom. Basement boasts a full bathroom, bedroom, and bonus room that would be perfect for a man cave. This QUALITY renovation sits in desirable East Cobb area w/ open SPLIT BEDROOM floorplan! WOW FACTOR! Large Level Lot ON CREEK! Tastefully renovated top to bottom. Attention to detail. Farmhouse kitchen sink, soft close drawers, backsplash, SS Appliance package, Island. Gorgeous flooring. Sanctuary Master bath features dual sinks, custom tile floor to ceiling, frameless glass shower. Full Finished Studio Apartment living/In Law suite w/ kitchenette below main level. Nearly new everything-roof, windows, HVAC, paint, fixtures, flooring. Screened Covered Porch! This unique executive bungalow new construction has a beautiful front porch, private courtyard, screened porch with views, open kitchen/living room floor plan, and master bedroom on main. Great floor plan for entertaining, work from home, or flex situations. Giant over-garage bonus room upstairs to serve as entertainment space or 6th bedroom. Walkable to Indian Hills Country Club for swim, tennis, and golf. Almost half acre lot allows you to add fire pit or variety of outdoor amenities. Fenced yard, guest parking, and quiet interior makes gives a retreat-like feel! Walton High School zoned and new construction under $750k is unheard of! Come check out this latest beauty from the Dahlhauser Group! Beautiful move-in ready top floor end unit w/ new flooring, new stainless steel appliances & more. This unit has the most private & scenic location in Bentley Ridge! You'll enjoy a serene wooded view of Proctor Creek from the walk-out balcony or spacious glass filled sun-room. The kitchen has loads of cabinet space & a large window w/ yet another scenic view. Bentley Ridge borders Smyrna and Atlanta & is minutes from a new access point to the I-75 express lane, Braves stadium, shopping and dining. Hurry - move just in time for the opening of the community pool. Owner/Agent. Join a vibrant area offering in-town lifestyle with quiet seclusion. Walk to the Marietta Square/Market. 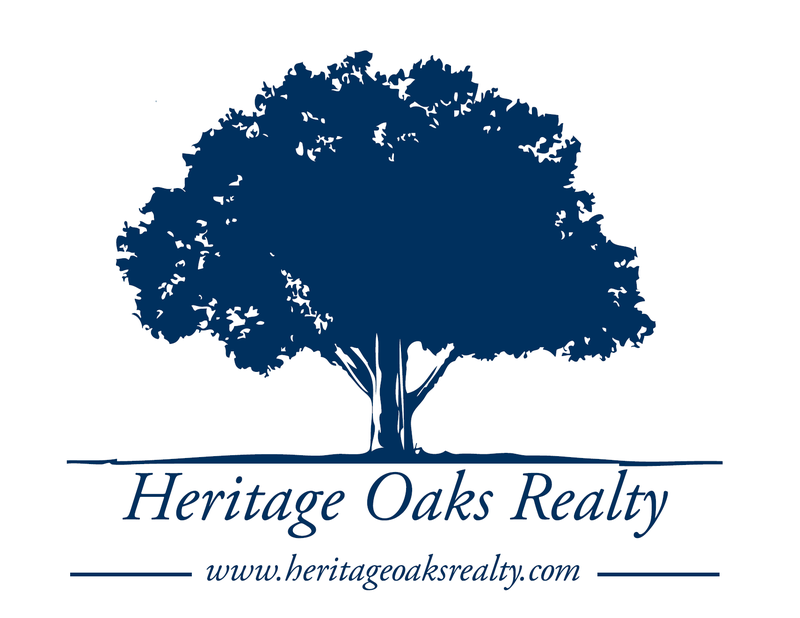 Great schools, parks & Kennestone Hospital in close-proximity. Immaculate 4bd/3ba, Craftsman style home w/ brick front & stone accents. Enjoy dinner with an over-sized island with cabinets galore, double oven, cooktop, wine cooler & amazing walk-in pantry. Relax in the ownerGÃ‡Ã–s retreat with coffered ceiling, his/her vanities, soaker tub, a huge walk-in shower& over-sized closet. You will love your 8ft garage door that fits any size SUV w/ space for more. Real Living begins in Castlebrooke! This premium-built Executive home features large bedrooms, 2-story great room, fully finished basement with bar, game room, home theater, extra bonus/bed room, and full bath. 3-car garage for your toys, too. Just minutes from shopping, restaurants, and award-winning schools. Enjoy morning coffee on your private deck with wooded view or entertain friends with a BBQ and watch the game on the covered patio. Well maintained ranch in desirable East Cobb community. Walk up to your inviting rocking chair front porch and inside you will find an open floorplan with hardwood flooring throughout. Updated kitchen includes granite countertops, stained cabinets and views to the family room. Spacious family room with fireplace and vaulted ceiling. Master bedroom retreat with large walk-in closet, dual vanity, separate shower and soaking tub. Fresh paint inside ready for you to move in! Deck overlooks private backyard. Swim neighborhood is great for summer! COMPLETELY RENOVATED in a quiet cul-de-sac! HIGH QUALITY UPDATES, including all NEW door hardware, double pane windows, light fixtures, chandeliers, recess lighting, and bathroom fixtures. Updated electrical fixtures and circuits, REMODELED bathrooms with great tile work, hardwoods on all levels, fresh paint inside, and a remodeled kitchen with solid wood cabinetry and granite counter tops! The deck overlooking the backyard has access to the kitchen and the sunroom, which brings the outside in. Perfect for entertaining and summer cookouts and it's so close to the pool! Lovely contemporary totally renovated in top rated schools*Must see all upgrades*Newly painted interior, kitchen, new flooring in kitchen*Vaulted Great rm boasts beamed/shiplap ceilng,stone frplc*Kitchen w/stnls appl,lots of counterspace,eating bar*Sep dining rm*Spacious Master Ste, sliding doors to deck,master bath upgrades in progress w/dbl van,newshower & more*2 addtl Bdrms w/upgraded full bath*Terrace lvl w/full bath,rec area,bar,walk out to patio*Wonderful backyd w/newly stained dbl deck,firepit,gorgeous landscaping. East Cobb without the traffic! Rare opportunity to live in one of the greatest subdivisions so close to it all. Comfortable well built and well appointed executive home. Stepless entry. Large spacious rooms. Master on the main. Chefs kitchen with exotic granite and breakfast bar. Hand crafted 2 story stone fireplace. Plantation shutters, crown moulding, trey ceilings. the finer details abound. Neighborhood always looks great as assoc manages all of the yardwork! Walk to Terrell Mill Park. Just in time for the 2 new $100+ million dollar restaurant and retail projects!